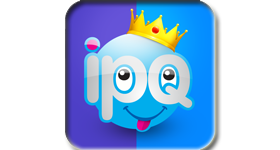 IPQ – the coolest App on the AppStore. This cool App allows you to have a beauty contest between all your Facebook friends and add a post to the most attractive friend. The App automatically selects the gender of the contenders, which you can easily change by clicking on the other gender. Then it let’s you select a group from your Facebook groups and limit the number of contenders. (up to 32). The App shows you two random pictures from your friends profiles on Facebook and you get to select the winner of each match. At the end of the round the winners will face each other until you pick the winner. He or She will get a nice post on their wall letting them know that you’ve picked them up to be the most attractive …. Because of the App algorithm you’ll get to play with different sub set of friends and different pictures every time. Play with your friends and see who has the coolest profile pictures.